If you aren't joining in with our finish-a-long you might be starting a brand new project this month. There can be a lot of decisions to make before your first stitch. The process of starting a project is different for everyone but I thought I'd share how I make choices about which materials to use. For me the first choice is always the thread- well the type of thread at least, picking out a colour palette is a great idea if you only plan to use a few shades but if you plan to use lots of different colours or create shading then it is easiest to work with your floss stash to hand and pull out colours as you go along. I always consider whether the finished piece needs to be washed and to think about how much thread you will need. I learnt both of these lessons the hard way! 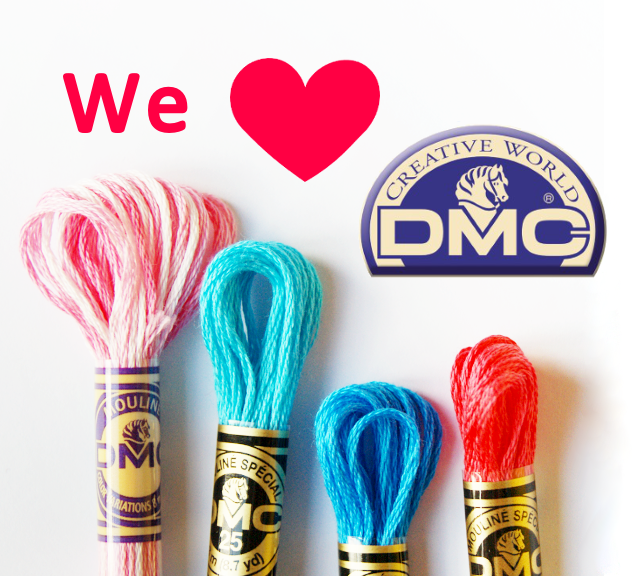 I tend to use cotton floss for most of my embroidery because I have a huge stash of it, it is easily available and it works well for most projects. It also has the benefit of being pretty consistent - if you run out of a colour mid-project and have to buy more the colour will match up. I also have a few perle cottons in my stash- they are lovely and shiny and give a great chunky line. I tend to use them in traditional counted thread needle work and have recently used some to make some hand quilting stand out. Whilst not strictly cotton floss I'll also give 'effects' floss a quick mention here. Neons, glow-in-the-dark, metallics are all great for adding interest although they can be rather challenging to work with (very short lengths are your friend when working with those guys). Oh Appleton crewel wool- I do adore you! 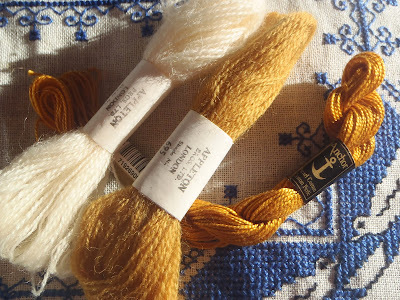 I pick out my wools when I want a folky, rustic feel. It also stitches up super fast. Let me be straight with you here- if I could afford it I would mostly use silk. It is much better behaved than cotton or wool floss. 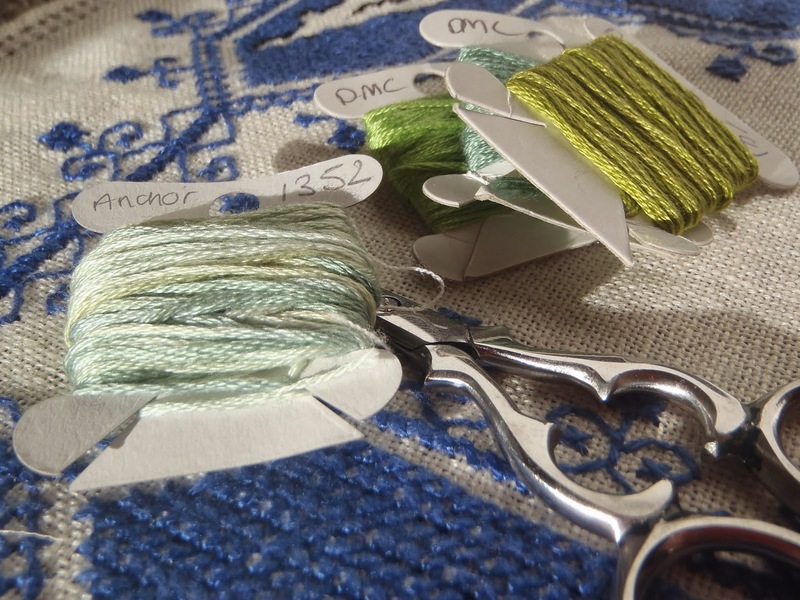 You can split silk threads just like cotton floss and this can give the most beautiful fine lines to your work (top tip; if you have trouble with silk thread breaking run it over some beeswax or use a thread conditioner like Thread heaven). 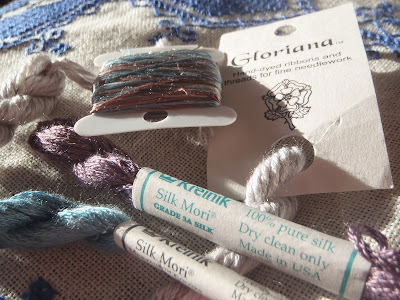 Silk threads are expensive though, especially the lush hand-dyed ones so I tend to use them for small projects or mixed in with cotton floss and they aren't usually colourfast so the finished piece can't be washed. Do you have a favourite thread? Any other silk fans out there? Whatever thread you are using on your current project please share in the &Stitches Flickr group. We'd love to see it! Thanks Sophie, as I'm new to embroidery it can be quite daunting knowing where to start. Just because you have a passion and want to do/learn something doesn't mean that the artistic juices flow start away so practical information like this is just great! I have a small collection of silk threads and I haven't used any of them because I'm too nervous! I'm saving them for the "perfect" projects which of course will never come. I need to just use it anyways! I love silk flosses too. They're beautiful and so lovely to work with, and they just are so touchable on the final project, too. But like you, the colour range, ubiquity and cheapness of cotton flosses makes them my standard for most projects. Sorry you've had trouble leaving a comment. I completely agree with you on the speciality flosses - special occasions only!